Statistics reveal that in the UK, one person each week is killed in an accident involving ladders. Your employer has a legal duty to ensure your safety when working at height. It is your duty to follow the rules. If a ladder has to be used, check it for defects and make sure it can’t slip by placing it on a firm, stable surface. Have someone hold it at the base, or use an anti-slip device. Set the ladder at the correct angle, ideally 75&deg;. Avoid working off a ladder, but if you must, never off the top three rungs. 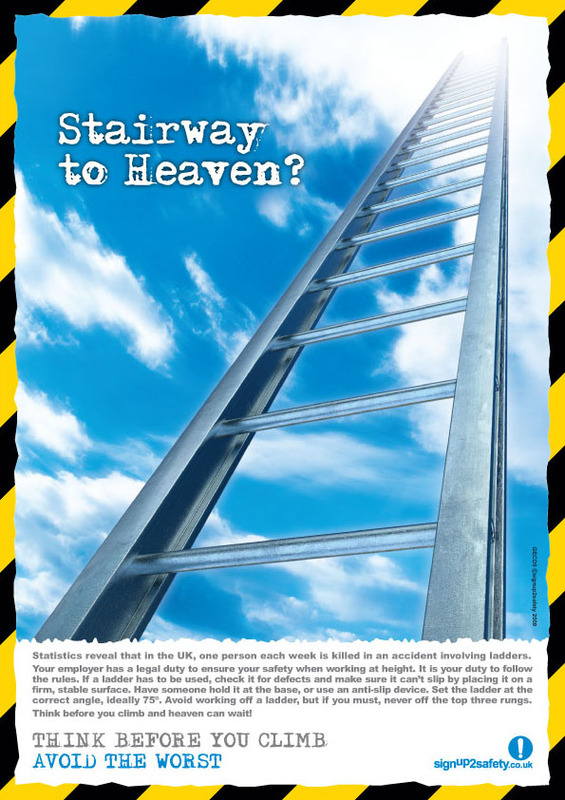 Think before you climb and heaven can wait!